While I hope to try a 5″ pistol, a bolt action rifle and a semi-auto carbine in that caliber, I do not have them on hand yet. What I have is a 4″ 1911. I brought it to the range to test penetration on armor plates and had a chance to chronograph it. The 40-grain soft point exits at around 1910fps and consistently expands to about .3″ in gelatin. Penetration is about 17.5″ with a mostly straight path and the bullet remaining mushroomed front first. Considering that 9mm Luger ball penetrates considerably further and starts about at .355″, 22TCM would seem an inferior performer. The magazine capacity is the same between the two calibers. The difference is in the felt recoil and speed of follow-up shots. 22TCM has no muzzle flip to speak of and can be fired very rapidly. It also has a flatter trajectory, with nearly half the drop of the 9mm at ranges under 300 yards. It’s a niche round but appears quite useful for small game hunting using the same 9mm sidearm with a different slide, or for self-defense by the recoil-sensitive. 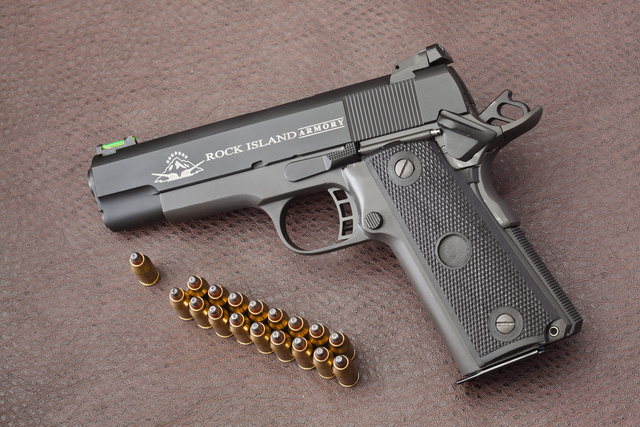 This entry was posted in ammunition, hunting, pistol, weapon and tagged 1911, 22TCM. Bookmark the permalink. I like the 22TCM concept a lot. 22WMR performance with centerfire reliability, in a rimless form factor that lends itself to conversion in anything employing the most abundant handgun caliber. 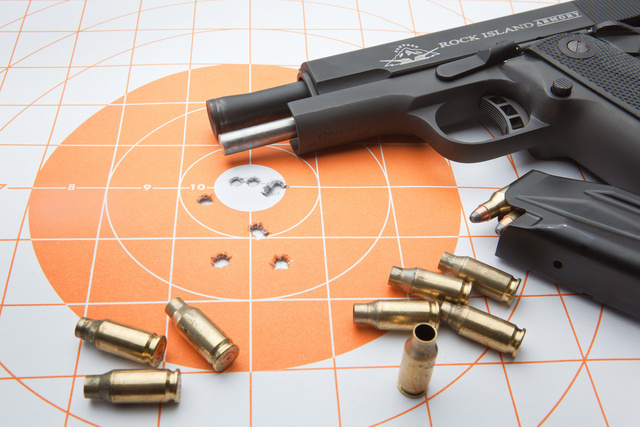 Bottleneck feed reliability like the 357 sig. Compatible with the most abundant suppressor type (assuming the 22 can is rated for it or 5.7, etc). Light bullets mean less overpenetration. This plus such a can would make a great nightstand caliber for a recoil sensitive shooter who would otherwise be restricted to 6 rounds of 38 special out of a heavy 357 revolver, or restricted to an inherently unreliable rimfire. You can jostle or drop 22TCM rounds on the ground without fear of the primers coming invisibly unseated – the same can’t be said for 22lr/22wmr. It’s why shooters simply expect to encounter rimfire malfunctions in a way that they don’t with centerfire. These days, 22TCM is really not all that much more expensive than 22WMR either. Better than simply .22 WMR performance. In fact, out of a 5″ barrel, it does better than a 5.7x28mm does out of the same tube. I’ve never seen THAT before!! Would love to test drive one! Don’t forget the fireball goodness. Doesn’t 7.62X25 offer about the same trajectory at normal pistol ranges with more thump? Also a TT33 can be had for a lot less dinero than a 1911 in .22TCM. 7.62×25 from pistol gets to about 1430fps with twice the bullet weight (85gr). More thump for sure, same capacity, a bit more recoil. Ammo cost is the same if we are talking about carry ammo. Less expensive for practice. Does anyone make a 1911 in 7.62×25? Seems to me that greater overall length relegates it to single-stack pistols like CZ52 and TT33. There are 7.62x25mm conversion barrels for the M1911, but you have to either deep seat the projectiles or settle for only a fraction of the nominal magazine capacity. It strikes me that a M1911 frame with a thick frontstrap like the 1980s-vintage Caspians and 1990s-vintage Springfields might be suitable for modification to use Tokarev magazines. You’d notch out the front of the magazine well and mag catch, and then add slabs to sides of the Tokarev magazine tube to stabilize it within the mag well. It would be like the converted Delta Elite magazines once produced for use in the Bren Ten. Your last sentence references a hypothetical “9mm sidearm with a different slide.” Couldn’t the TCM theoretically use the same slide/breech face? I thought it just needed a different barrel. Penetration in gel may be inferior, but there’s a youtube of this round outperforming its 9mm cousin on a real world side of beef. It’s also a nice alternative if you’re not into the 5.7 coolaid and want a viable alternative on classic frame… And even a modern classic, such as the glock.